The Party Wall etc. Act 1996 can be a real headache for homeowners. In principle, it provides a strong statutory framework to avoid disputes between neighbours in connection to excavations and works to boundary walls. The provisions of the act, however, are complex and many building owners and their neighbours have fallen foul of not adhering to the right sections at the right time. Notifying – the Building Owner is legally obligated to serve notice on their adjoining owners if they are to begin works which qualify under the Act. The notice needs to outline the works proposed and, if the adjoining owner is satisfied that they will not materially affect them, they can simply agree in writing and the works may begin unhindered. Whilst a surveyor is not necessarily required at this stage, anyone who might trigger the Act is advised to have their notices issued by a Chartered Surveyor – to ensure nothing is omitted. Disputes – quite often, however, neighbours do not agree at this early stage and are concerned by the impact the proposed works might have on them and / or their property. If they raise concerns, or don’t respond to the notice at all, then a Dispute has arisen. 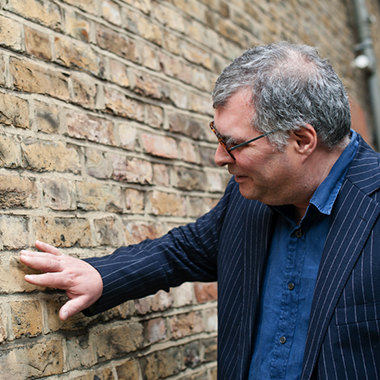 If such a dispute arises, then both parties need to appoint a Party Wall Surveyor – who will ideally be a trained and experienced Chartered Surveyor (RICS). This surveyor can be the same person for both parties – termed an ‘agreed surveyor’. Whilst this may seem odd, Chartered Surveyors are bound by an ethical code of conduct and, under the Act, they are also duty bound to act impartially – so having only one surveyor involved can keep things fairly simple. The appointed surveyor(s) will agree a route forward and encapsulate this in what is called a Party Wall Award, which is binding on both parties. Identifying neighbours who will require notices. Serving notices under the Act. Producing a schedule of condition before works begin, to avoid disputes over alleged damage caused by the works. Preparing, negotiating and agreeing Party Wall Awards. Initially, we provide advice on your rights under the Act – whether you can stop the works going ahead or whether you could seek compensation. We ensure all possible action is taken to limit the possibility of damage to your home or garden. We can monitor the ongoing works to ensure no damage is done to your property. We can act on your behalf in negotiating a Party Wall Award. It’s also worth noting that fees for the adjoining owner’s surveyor are paid by the developer, so you have nothing to lose instructing a professional to assist you. The Party Wall Act is complex and neighbourly disputes can be heated and emotionally charged. Our surveyors are calm, professional individuals used to mediating in such disputes. We pride ourselves on our strength of communication and our diplomacy skills, which we see as integral to getting the right result for you. Click here for free, impartial information on the Act from the gov.uk website and here for an illustrative guide to the legislation. Do you have an issue with more than one neighbour? Multi-neighbour disputes can be expensive and take months to resolve if poorly handled, with serious consequences for the viability of development schemes. We maintain a specialist team trained to handle multi-neighbour disputes for corporate entities calmly and efficiently. We can even reduce your bottom-line surveying costs substantially. See what we can do for you here.